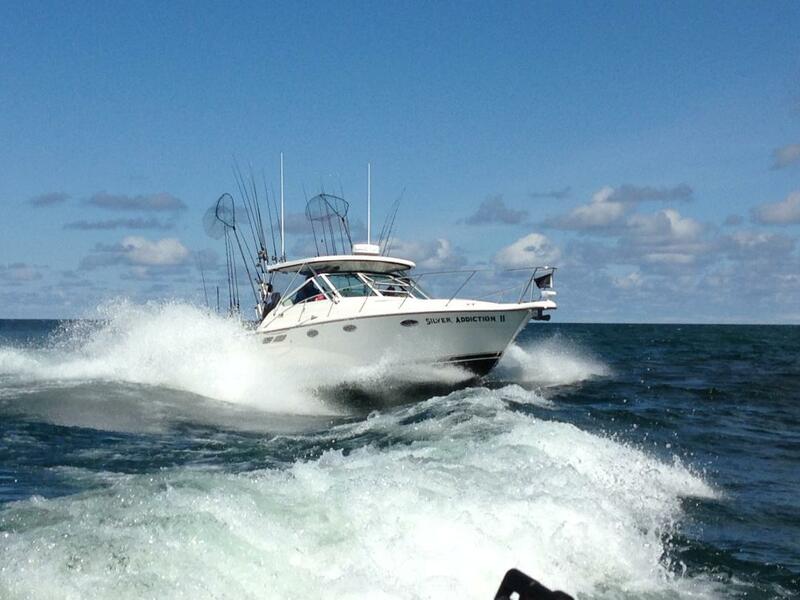 Booking a charter with a Ludington Charter Boat Association Captain is easy. 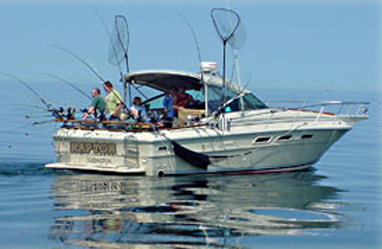 Click on the link "Fishing Charters" and scroll through the list. Most captains have websites you can visit to check rates and call or email them for availability.. 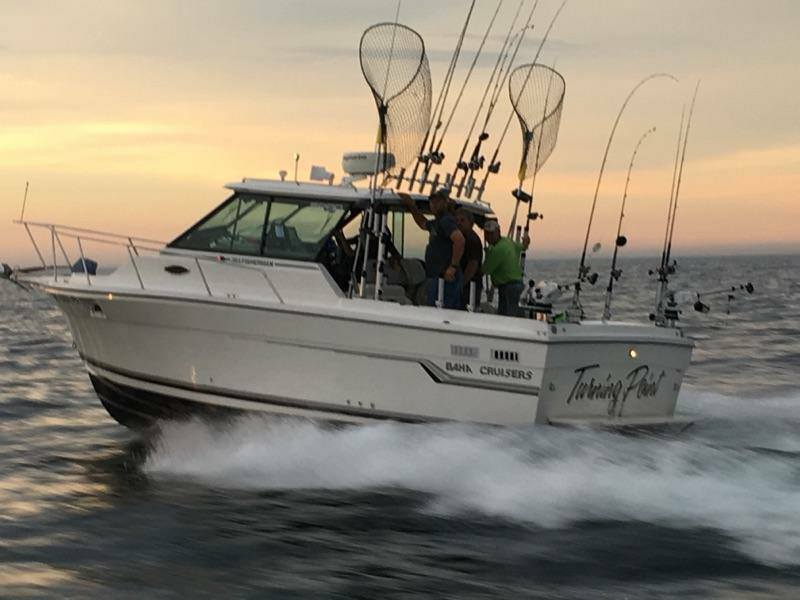 The fishing in Ludington starts in May and continues through September. Fishing really heats up in July /August / September when the steelhead and King salmon return to port. Some captains offer river trips and fish into late fall and early winter. What are the considerations when choosing a Captain? Boat size - Larger boats provide more room for larger parties (6 max) and other accommodations such as roomier. Marina Location - There are several marinas in Ludington. 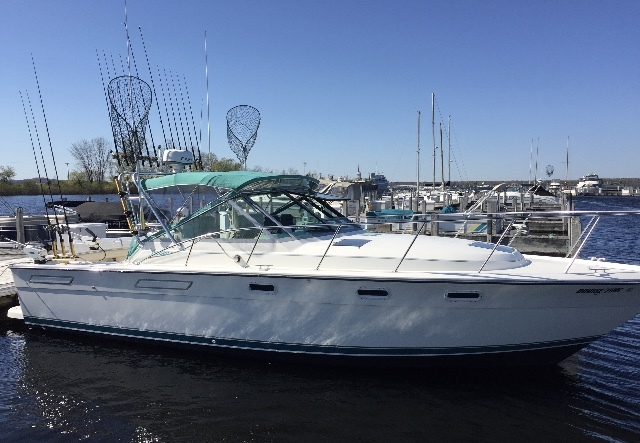 While all marinas offer parking and bathroom accommodations, you may find one marina more convenient than another based upon where you are staying. Special needs- Some boats/ marinas are better able to accommodate special needs such as wheelchair access. Your captain can confirm capabilities. Captain reputation - Some captains command a higher fee just because of their reputation and proven success such as winning major salmon fishing tournaments. Word of mouth - Contacting a friend who has used a charter boat is a great way to confirm that the boat you choose will be able to provide the experience and accommodations you desire. Services - Most captains provide all of the equipment you need. Most will also filet and bag your fish. Ask your captain what services are included. Price - Rates vary by boat, time of year, length of trip, morning vs afternoon, number of customers, etc. Cancelation policies may differ from captain to captain, always ask. What type of fish can be caught? 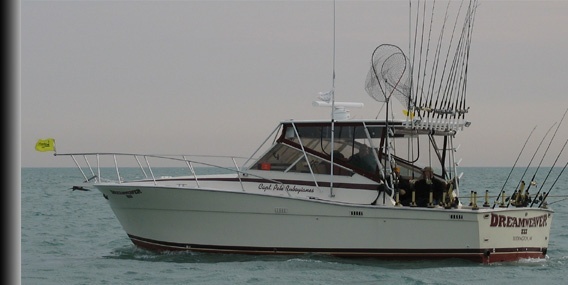 On Lake Michigan we fish for coho salmon, chinook (king salmon) Lake Trout, Steelhead, with an occasional brown trout mixed into the creel. All weather related decisions are left to the captain. Always call ahead. How do deposits work ? 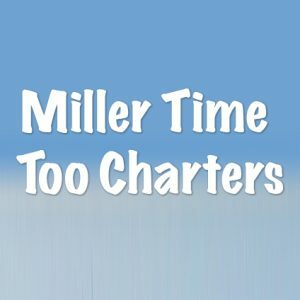 Generally a deposit must be received to hold your reservation and the balance is due after completion of your charter. Most of the Ludington fleet have restrooms, but always ask your captain. How safe is it to go out fishing on Lake Michigan? 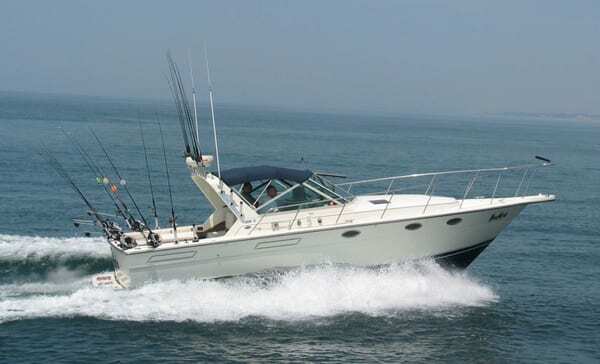 Safety and comfort are top priorities for charter boat fishing. 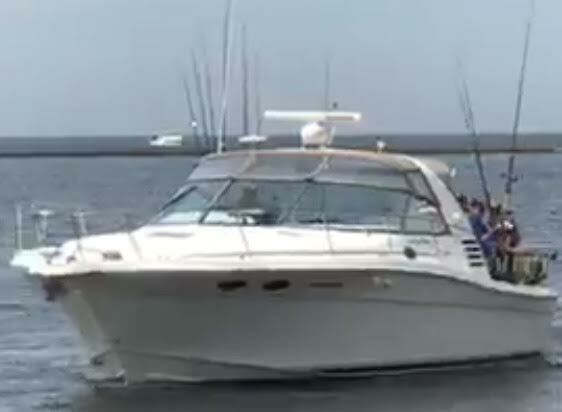 All vessels are licensed by the Michigan DNR and all captains are licensed by the U.S. Coast Guard. Our captains will make your fishing experience one of the most enjoyable and memorable for years to come. Most charter boats offer half day or full day. 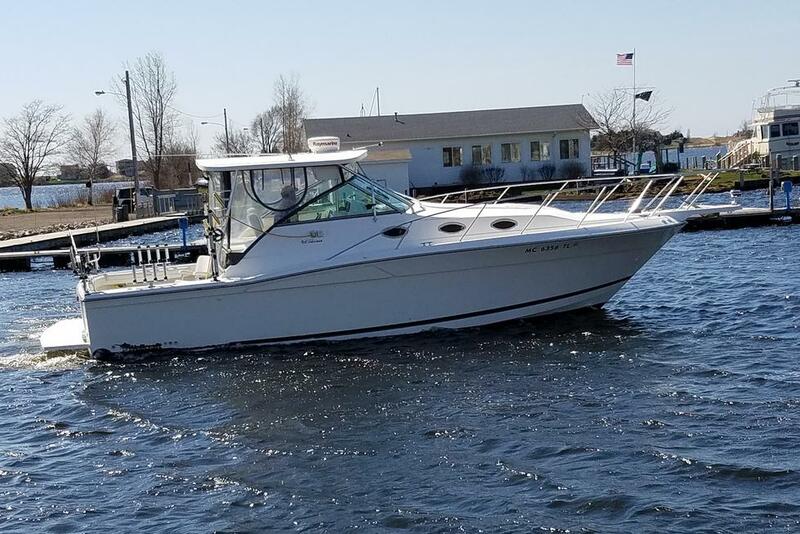 Bring snacks, beverages, cooler, sunscreens, sunglasses, camera and film, foul weather gear and seasonal clothing as it can be "cooler on the lake" then leave the rest to your Ludington Charter Boat captain! Bring the whole family! 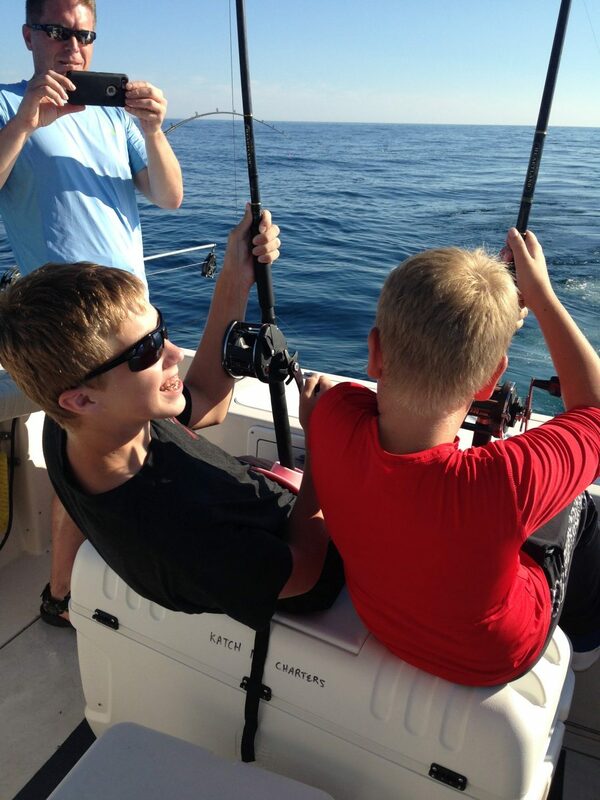 Fishing is a great way to spend a time together and create a lifetime of memories. But it is best to ask your captain first if they have an age and size limit. Any recommendations for Sea Sickness? If you are worried about becoming seasick, we recommend that you purchase an over the counter remedy such as Dramamine. If you prefer something natural we suggest ginger capsules you can find in any health food store.